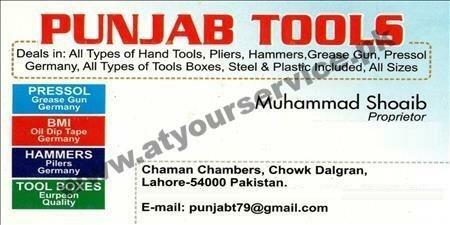 Punjab Tools is located at Chaman Chamber, Chowk Dalgran, Lahore. It deals in all type of hand tools, pliers, hammers and grease gun. It also sells all kind of tool boxes i.e. steel tool box, wooden tool box etc.